Viewing 24 of 213 items. 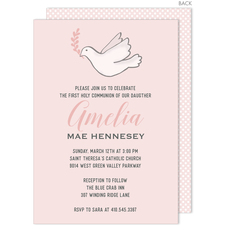 Get all your loved ones together to celebrate with this set of invitations which feature a watercolor dove design. Matching blank envelopes are included. Invitations come with a full back design as..
A Stationery Studio Exclusive! 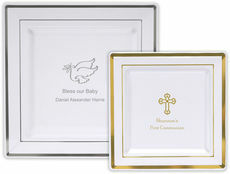 Make your next event extra special with personalized placemats. These beautiful personalized placemats are available as individual laminated placemats or as a pad of 25..
Get all your loved ones together to celebrate. 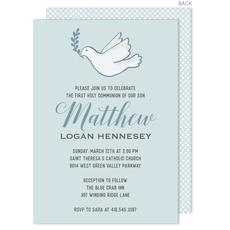 This set of invitations features a watercolor dove design. Matching blank envelopes are included. Invitations come with a full back design as shown. 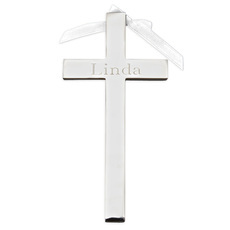 ..
Elegantly understated, this highly polished wall cross makes a beautiful religious gift, fantastic for baptisms, first communions and weddings. 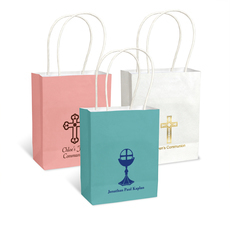 Lacquered and silver-plated, non-tarnish cross comes..
Personalized mini twisted handled bags are perfect for small gifts or favors at the celebration after Communion. 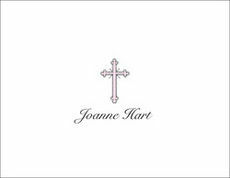 Personalize the bags with a monogram or initials, a religious design and/or your choice..
Set of guest towels with your choice of napkin color, imprint color and typestyle of personalization. Positioning only as shown. Approximate size 4.5" x 8". 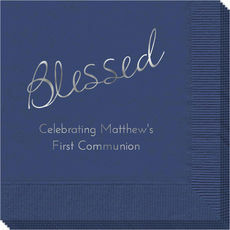 Quality 3-ply guest towels..
Personalized First Communion invitations and party supplies will help you plan and prepare an extra special party. Celebrating this sacred event with friends and family will make the occasion memorable. 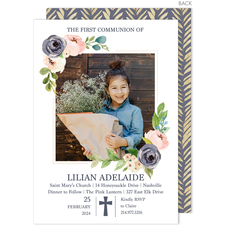 A wide variety of custom First Communion invitations and party supplies are available on The Stationery Studio to make this event special for you and your invited guests. 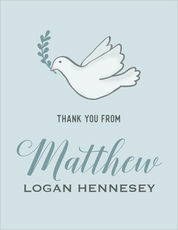 We make it easy to print beautiful personalized invitations to announce the details of the celebration. 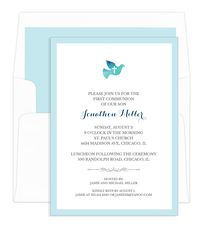 Many different types of invitations are available in various styles including formal, masculine or feminine. A selection of paper and ink colors is available, including many pastel shades of pink, green, blue and ivory. 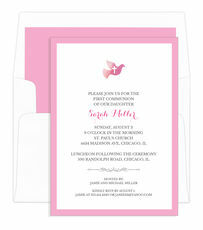 You may choose to add a monogram, initials or full names to customize these lovely invitations. 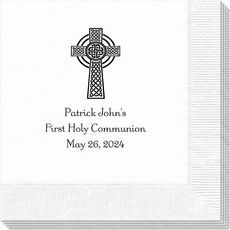 Paired with beautiful matching envelopes, your First Communion invitation will provide an elegant way to announce the date of this sacred occasion. 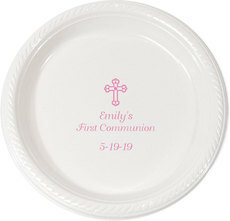 Preparing for a First Communion party can include many personalized items as well. 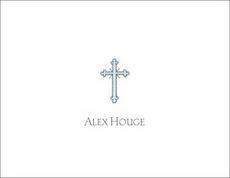 Napkins with a personalized name or monogram and date can add a sophisticated touch to any table. 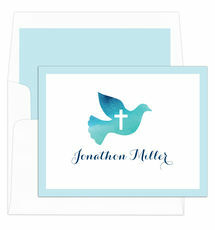 Many different colors, graphic designs with religious images and styles of personalization and fonts are available from. 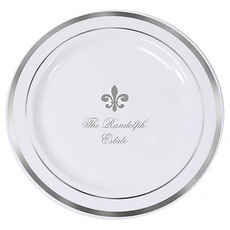 Personalized disposable plates, favor bags and favor boxes will help you create a special look very easily. 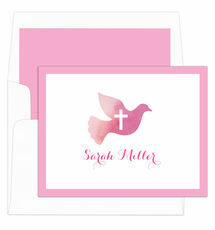 A candle with a dove and cross motif with the wording First Holy Communion can be ordered and personalized with the name, date, and church of the confirmed. Gifts appropriate for the occasion are available on The Stationery Studio as well. A personalized Bible imprinted with the name and the date will provide a lifelong memory of this special religious occasion. 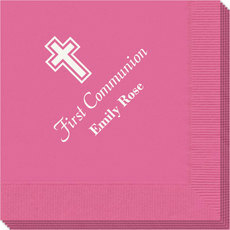 You can make a First Communion special with personalized invitations, party supplies and thoughtful gifts.